In February of 1957, Reverend Willis Ethridge and his wife, Mildred, left their home in Ontario, Canada. 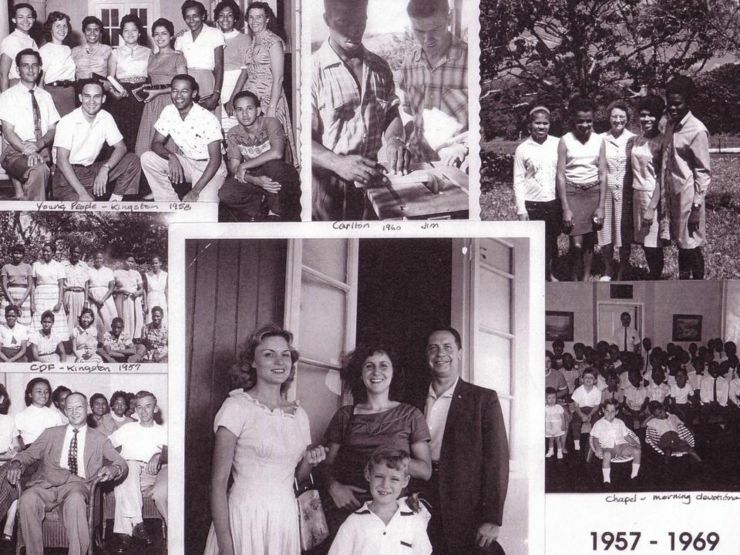 Their mission was to start the Christian Deaf Fellowship Center in Kingston, Jamaica, where they were soon joined by Paula Montgomery, the first deaf American missionary. Together, the three missionaries were offered a one-year lease of a property in Manchester Parish, Jamaica, where they opened up a school with eight students and a staff of three. The school continued to gain momentum and, in September 1962, moved to its present location in Knockpatrick. By 1967 there were 40 students, and today this beautiful campus serves over 80 students. 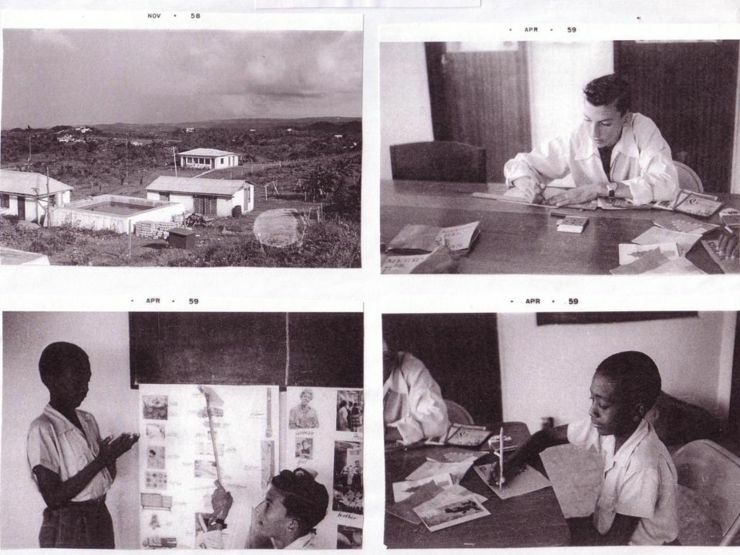 In 1990, a second campus was added in Montego Bay, Jamaica, built on 7.5 acres of generously donated land. This school opened in August 1994 with three children, and today it serves around 20 students in our furthering education program (CADE). In July 1994, the CCCD reopened the old Christian Deaf Fellowship campus in the heart of Kingston as a new CCCD school. Kingston is home to half the population of Jamaica, as well as many deaf who do not have access to the Knockpatrick and MoBay campuses. Today, the Kingston campus serves around 60 students and is home to the Deaf Can! Coffee enterprise. The three school campuses continued to run smoothly, and graduated class after class -- but the deaf graduating from high school still struggled to find employment. Employers did not have the time or resources to devote to learning to communicate with the deaf, and did not hire them. No job means no money, and no money means that, despite their education and potential, the deaf graduates were unable to provide for their own basic needs. Many turned to desperate means to obtain food, clothing, and shelter. And so in June of 1984, the CCCD ministry began development of the 100-acre Jamaica Deaf Village, which would serve as a safe place where deaf adults and their families could live in community, attend worship, and find meaningful employment. The Jamaica Deaf Village (JDV) campus continued to grow with the addition of a church, a woodworking factory, apartment complexes for the deaf, and more -- none of which could have been constructed without the assistance of mission teams. Finally, in 2002, after many years of miracles mixed with trying circumstances, the first villagers moved onto campus, and the first steam-bent wooden rocking chair was manufactured in the factory. Shortly thereafter, the first church service was held at the village, led by Rev. Gary Williams, who plants deaf churches within the hearing churches of Kingston. There were nearly 60 deaf present that Sunday, and ever since, it has been a joy to watch the deaf worshipping, fellowshipping, and growing in Christ Jesus. We hope that, with your help, the mission of the CCCD can continue to expand and grow.